Leading mobile chipset maker Qualcomm and its upcoming high end chipsets, the Snapdragon 820 and the Snapdragon 815 are expected to be manufactured on the 14 nm FinFET and 20 nm respectively, which will no doubt result in both chipsets displaying impressive processing capabilities and energy efficiency. The smaller lithographic process will also mean that both SoCs are able to keep their temperatures way under the limits. While the benchmarking reports of the Snapdragon 820 have yet to be leaked, Stjsgadgets-portal has managed to publish the thermal performance of the Qualcomm Snapdragon 815, and in comparison to the Snapdragon 810 and 801, the unreleased chipset is far superior. With the 5 inch screen size rendering the 1080p resolution, an impartial thermal review could be posted of all the three chips. One of the reasons why there was no cellular antennas present in the devices where the three chipsets were placed was because the absence of the radio would force the chips to run a little cooler, thus giving more accurate results. The intensive application that was going to test the thermal performance of the SoCs was none other than Asphalt 8. According to the report, given below are the results after the chipsets were subjected to the taxing video game for an equal amount of time. Please note that all results present below are in degrees Fahrenheit while the graphical representation has been given in degrees Celsius. The superior architecture of the Snapdragon 815 seems to be working well in Qualcomm’s favor as the Snapdragon 815 displayed astounding thermal results. Surprisingly, the company’s Snapdragon 810 performed the worst out of all the three, even though Snapdragon 801 is two generations older compared to its successor. Since heat is considered to be the natural born enemy of computer components, overheating of a smartphone chipset will definitely have irreparable effects on the remainder of the components, and the overall battery life of the device. 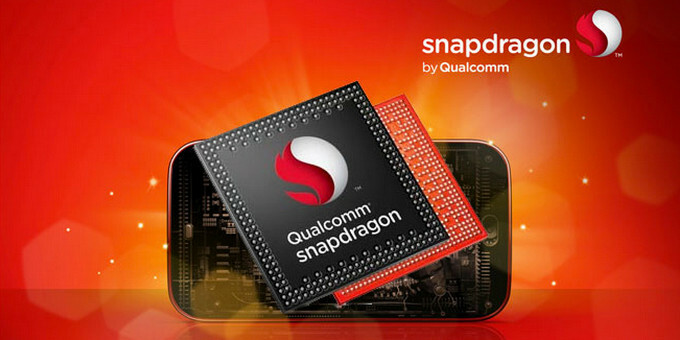 The Snapdragon 815’s octa-core processor will be supplemented by the company’s Adreno 450 GPU and the first handsets sporting the SoC are expected to arrive in Q4, 2015. Looks like Qualcomm has finally eradicated the overheating issues on its next generation products, which was a concern for several device makers and consumers alike.